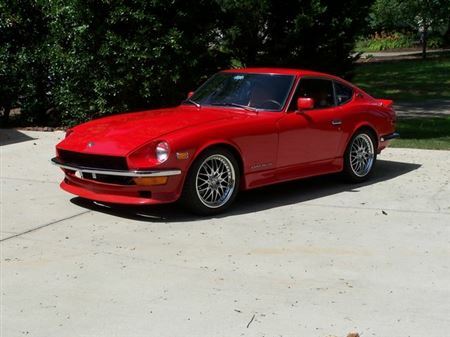 In 1991 the previous owner, William Aguillon was running his 240Z (VIN **5026) in the Florida Sports Car Club of America (SCCA) events. In 1992 the car was advertised for sale for $600. Complete with 5 speed and after market wheels, but needed work. Our son owned a 260Z that we just completed painting recently. He had an accident requiring a fender, hood and bumper. 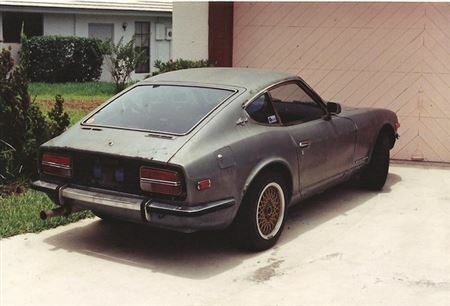 I purchased the 240Z for $500 and planning the transfer of the needed 240Z body parts. 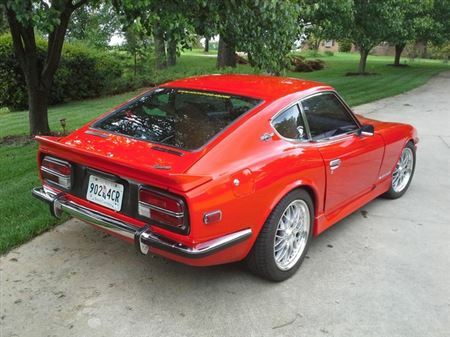 Then wham, he got his 260Z rammed in the rear end. It was a total loss. 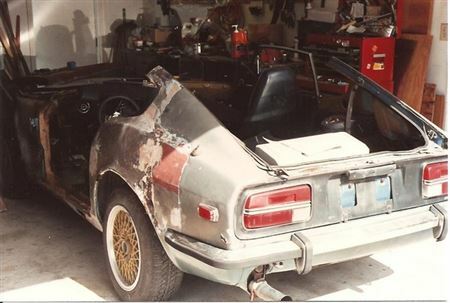 Seeing the low VIN number on the 240Z parts car, we decided to restore it. The first issues were the stability of the frame rail and the stabilizer bar loose. I guess that it failed SCCA inspection and that’s why they put it up for sale. The roof had rusted out and was full of sand. It could have been in a Florida canal. 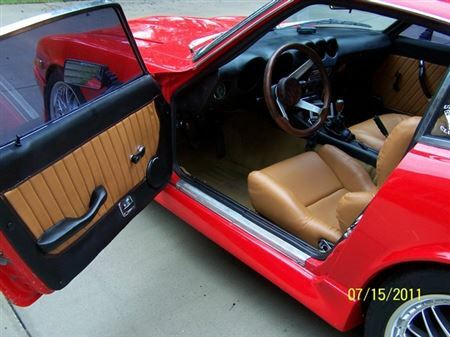 Rusted floor boards, rocker panels, and doors revealed a rocky start. 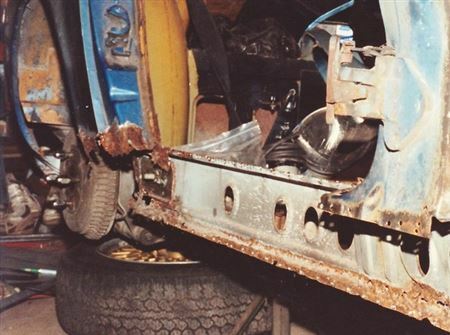 The year 1992 was spent cutting away the cancerous body and MIG welding new galvanized floor boards, new roof, replacing door skins, replacing frame rails and rocker panels. In 1993 all of the molding was replaced and a full Areo Kit from Motorsports added prior to painting with 3 stage Sherwin Williams paint. This was done in my garage in Boca Raton FL. The engine was removed and examined. I junked it and used the short block from the donor 260Z. 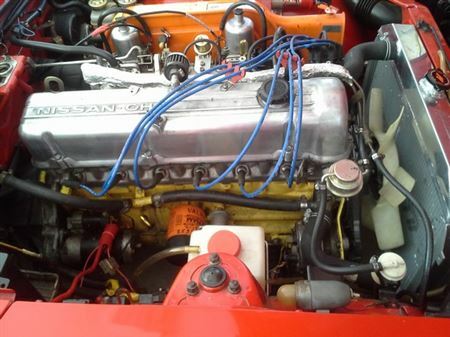 I retained the original SU carburetors, heads and intake manifold. She ran ok but had some smoke and oil consumption. Mileage was around 102,000 miles. 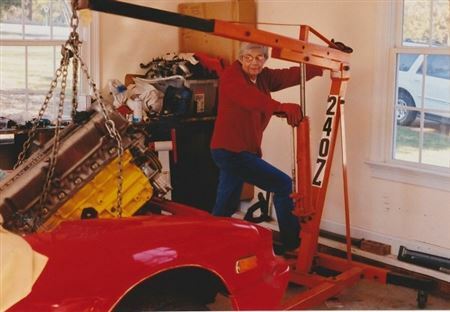 It was late 1997 when I shipped the 240 heads to Peaco Industries in Birmingham AL. for a Stage I overhaul. New performance cam, valves, rocker arms, and springs. Red line was 6800 rpm. 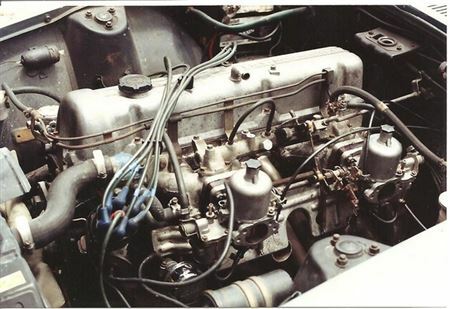 In 2001 the 260 short block was sent to Peaco. New ceramic topped pistons, connecting rods and reground the crankshaft. Balanced to 2 grams. Compression came in too high at 11:1. Why did this happen? Well they thought I was using a 260 head! The 260 heads would have yielded 10:1 compression ratio. I have now switched heads to the 260 E88 and transferred the performance cam, rockers and springs from the 240 E88 heads. The engine now runs great on mid-grade fuel. 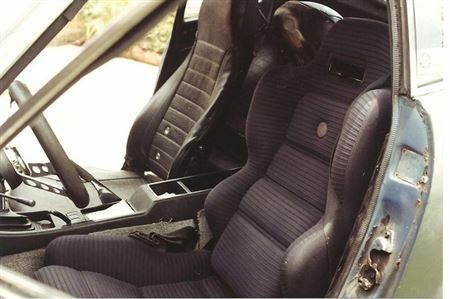 From 2002 to 2007 the efforts were on upgrading the interior to camel with custom door panels and carpeting. Also the struts and springs were upgraded. In 2010 the wheels were replaces with 4 lug Konig 17x7 chrome wheels and Dunlap 225x45 ZR17 tires. In 2012 the rear Areo bumper was replaced with original bumper chromed. Later the front Areo bumper was replaced also with a new chromed one. In 2013 I added retro AC. I selected the Vintage Air GEN II Mini equipped with Heat/Cool / Defrost. It was small enough to fit under the dash in the Z. It has electrical servo motors that operate the vents and heater valve (included). This resolves any problems with cables to the slider panel on the dash facade. In 2014 replaced the radiator with an aluminum higher capacity unit. It’s now a joy to drive with about 26,000 miles on the rebuilt engine. Well, that’s my Z story. Please sign our Upstate Z Registry!